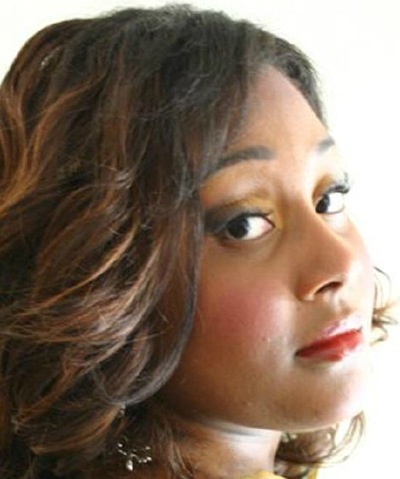 4/2016 Light-lyric Soprano VANESSA CARDOZO -a voice student of Oscar Diaz, Jr. Director of Performer's Music Institute-MIAMI - VOICE & Piano Instruction- won 1st place in the Miami Music Teachers Association’s VOICE MERIT SCHOLARSHIP AUDITIONS Senior B (age 17-20) Division. 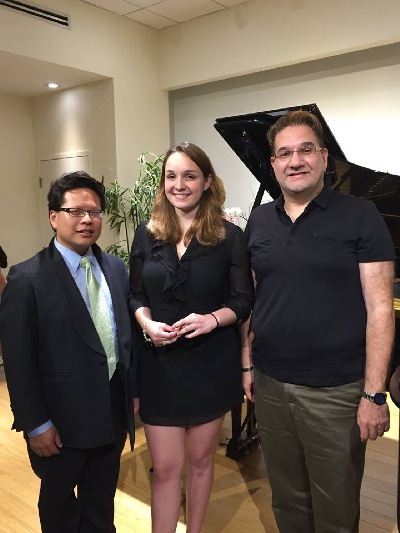 She is seen here at Steinway Piano Gallery in Coral Gables immediately after her performance of the aria “O mio babbino caro” from the opera GIANNI SCHICCHI by Giacomo Puccini at the winner's concert on April 16th, 2016. She is joined by her accompanist/pianist Gregory Szeto (left) and also her teacher Mr. Diaz, Jr.
Much continued success to this South Florida artist! 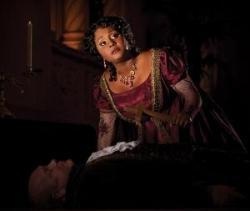 Warm congratulations to Jouvanca Jean-Baptiste, lyric spinto soprano, who made her debut in the title role of ``Anna Karenina'', with Opera San Jose's West Coast premiere of the opera by David Carlson. A South Floridian, Jean-Baptiste has studied for the past five and a half years with Oscar Diaz, Jr, director of Miami's PERFORMER'S MUSIC INSTITUTE. According to Diaz, Jean-Baptiste has received rave reviews on her performance. 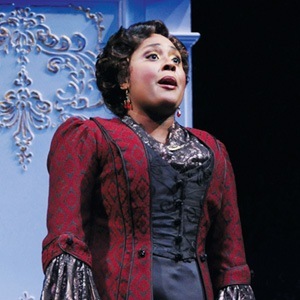 The soprano is next scheduled to sing the title role in Giacomo Puccini's Tosca and ``Mimi'' in Puccini's La Boheme. 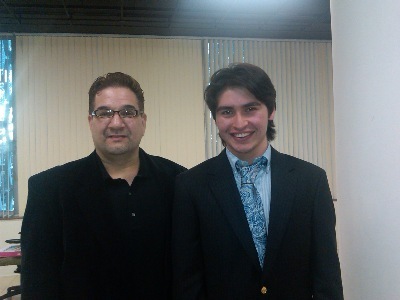 Belated congratulations to Javier Enrique Ferrer, 18, who was granted a scholarship and was accepted, to the prestigious Cleveland Institute of Music. Ferrer, a tenor, is a former student of Oscar Diaz Jr ., at the PERFORMER'S MUSIC INSTITUTE here in Miami, where he studied voice and piano. The young tenor also studied guitar and music theory at Miami Dade College North Campus Music Learning Center. At Cleveland Institute, Ferrer continues his voice studies with internationally acclaimed tenor Vinson Cole. Ferrer also received acceptance letters from the Manhattan School of Music, Boston Conservatory, New England Conservatory and the Chicago College of Performing Arts at Roosevelt University. In addition, he was among only 18 finalists in the world to be selected beyond the first round of auditions at the prestigious Curtis Institute of Music. A warm Friends and Neighbors salute to Ferrer, who also has been a recipient of numerous first-place scholarship awards from the Miami Music Teachers’ Association. I suspect we will be hearing a lot more from this talented young artist. ***************************************************************************************************** 2-12-2011 William Cadena, an 18-year-old Baritone voice student of Oscar Diaz, Jr.
has won the "First Year College/Private Music Theater -Men" category at the South Florida Chapter of the National Association of Teachers of Singing auditions. The auditions were held at Barry University.